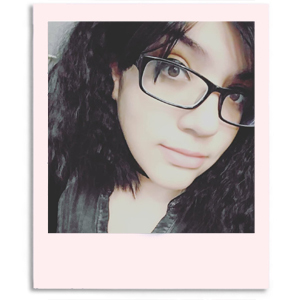 Hiya guys! I have a very special kind of review to share with you today. As you know, nail art has been part of my every day life these past few years. 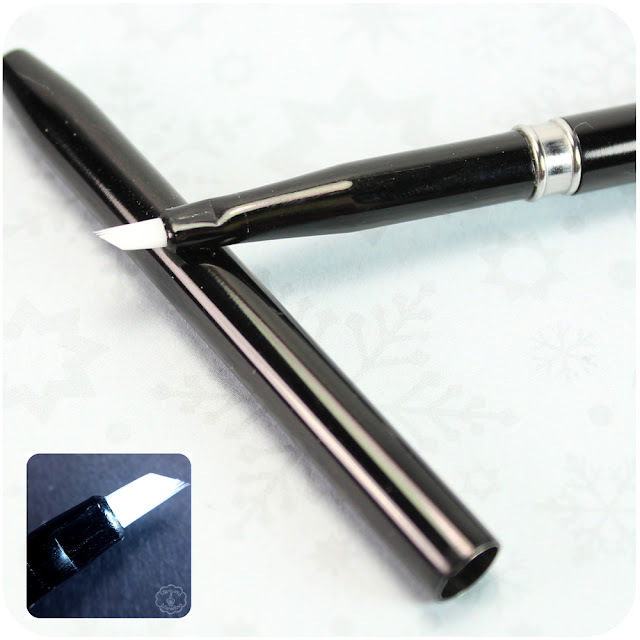 One of the most important tools for any artist is the brushes they use. 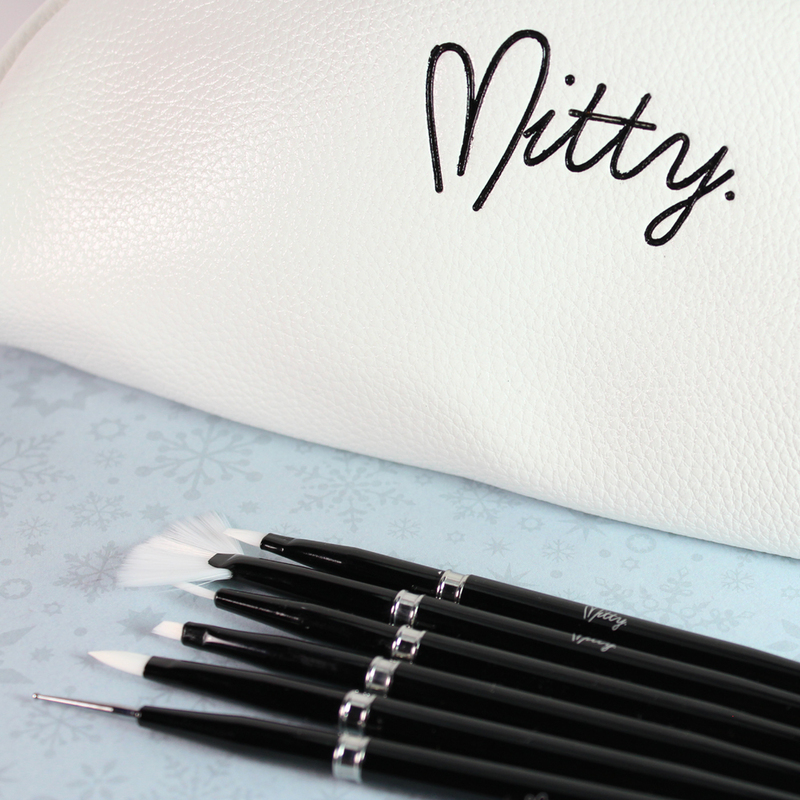 Today I am sharing a set of six nail art brushes from Mitty, an Australian based brand. Each one of these brushes are made with the finest Kolinsky hairs for high quality work and long time use. Mitty brushes are available to ship worldwide. 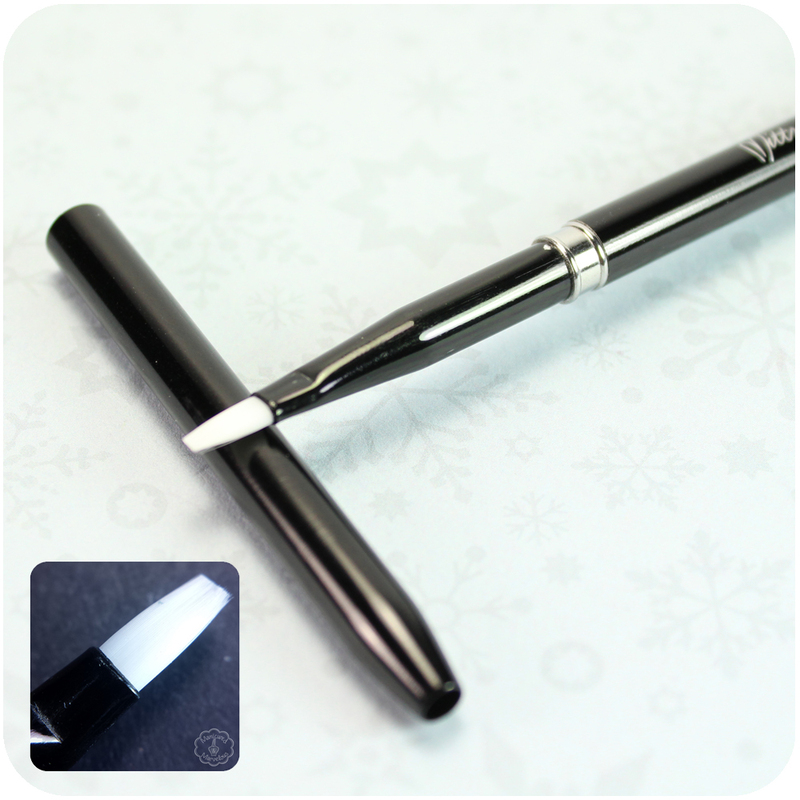 Each brush retails for $9.95 each and the entire set can be purchased for $59.95. When you purchase the entire set you will also receive the pouch shown in the photo above. Please note all prices are listed in AUD currency, but you can easily find out the conversion for your own currency with Google. 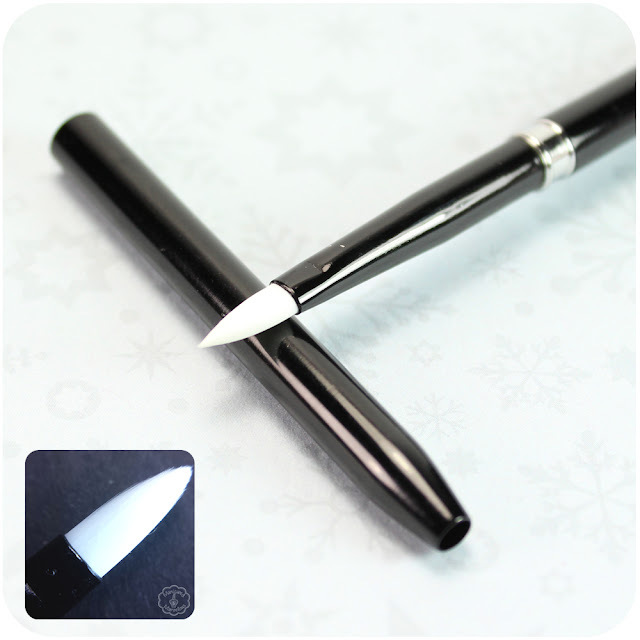 The fan brush is a classic and a must-have in any nail art beginner kit. I'll be honest in saying I had no idea what to even use this style of brush for when I first saw one two years ago haha. But this is perfect for one of my favorite techniques, the 'distressed' look. A dotting tool is another classic must for any nail artist, beginner and veteran a like. What I love about this one in particular is how small it is. By far the smallest I own from all the sets I have purchased in the past. It's definitely a lot more useful for detail art because of how small it is. Should I need a bigger one I can just layer paint on the tip and let it dry to create a bigger circle. I am extremely picky when it comes to my striper brushes and this one ended up being pretty good for my needs. It's not small enough for the more detailed art pieces I like creating though. 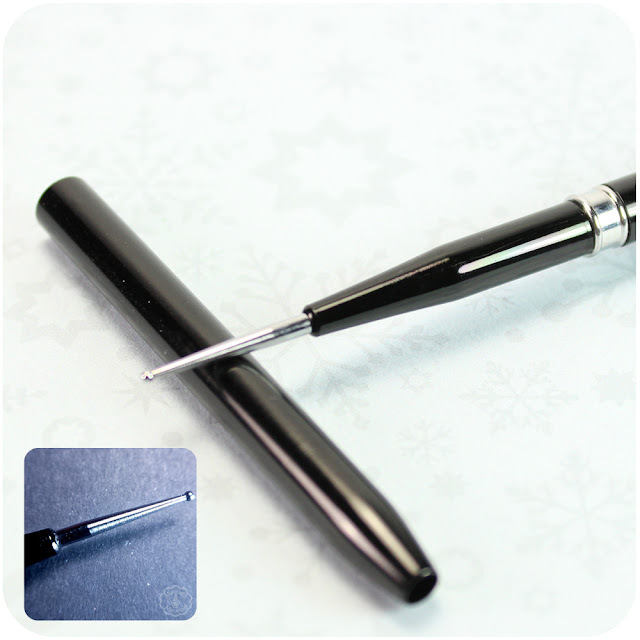 So for what it is, it works well and you can expect nice thick lines when using it. The remaining three brushes I haven't had a chance to use just yet. The shapes are a little different than I am accustomed to, but I know at least one of the techniques I'll be trying out... one stroke flower here I come. For all the manis I showed here I worked with all polish and afterwards cleaned the brush with acetone and applied some cuticle oil to keep the softness. I've been using them for about a month now and all of them still look like they did the first day! The macros in each one of the photos are of after some usage (with the exception of the last three). My only con with these brushes are in the black caps. They are a little snug to slide on and off, the initial time some were too tight for me to pull off and had to get my husband to help. It's easier for me to just keep the caps off entirely. Another little bit of a bummer is that the set does not currently have a #000 or #0000 detail brush. Mitra has said she plans on adding these to the shop in the future so that is something I will definitely be waiting anxiously on. 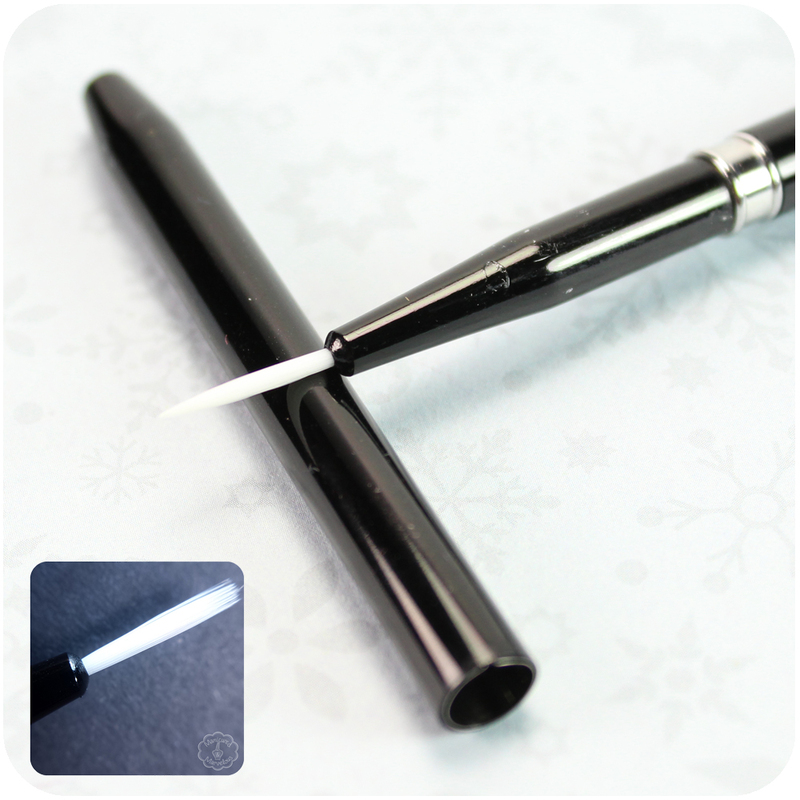 As I mentioned before, Mitty brushes are available to ship worldwide. Each brush retails for $9.95 AUD each and the entire set can be purchased for $59.95 AUD. I'd like to also note how fast the shipping was, in my experience I received them in less than two weeks! I need a set like this! I basically use makeup brushes now. I don't use nail art brushes, but I love what you did with them. 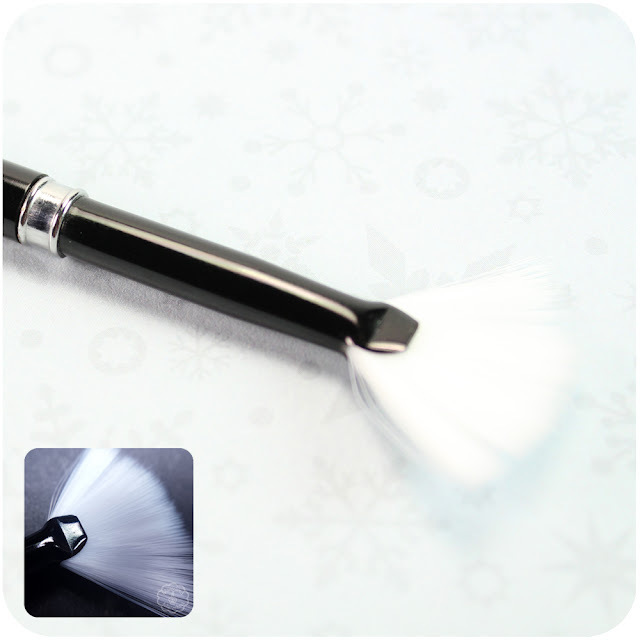 I remember finding out what I could with a fan brush - it's like a whole new world opened up to me, lol! Great review! These look like really lovely brushes! It is a little disappointing that there aren't any smaller detail brushes, but it's good to know that she's adding them soon! Where I can get this kind of brushes? If it is available in online means suggest me that.